I don’t know about you guys but whenever I have to deliver a public speech or presentation, I feel the shivers coming. And the thing is, it hasn’t always been this way. Imagine that I used to be a teacher, so I stood in front of a bunch of tiny humans and delivered a lesson, day by day, to different classes, various ages. However, these things are not set in stone. It doesn’t mean that if once I was an efficient public speaker, things can’t change. And change they have. Last week I had to deliver a presentation in front of my colleagues and I started in full confidence but I felt my heart beating harder and harder, I felt the sweat coming in my palms, my cheeks blushing and I knew I was done for. So no need to preach to the choir about the public speaking fear. 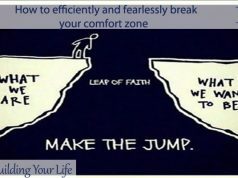 However, at the same time this experience motivated me to face my fear. I know it sounds rather idealistic and I can literally see you rolling your eyes. But listen to this: if we do not face the fear, the fear will keep winning over and over again. And we will keep avoiding situation when we have to speak in public, avoid jobs, assignments and so on. Due to the fear, which, by the way, is the most common phobia. Did you know that? People are more afraid of having to speak in public than of death. And I for once, can totally relate. So the good news and at the same time the bad news is that this fear can be overcome. The bad news is that repetition is the key. 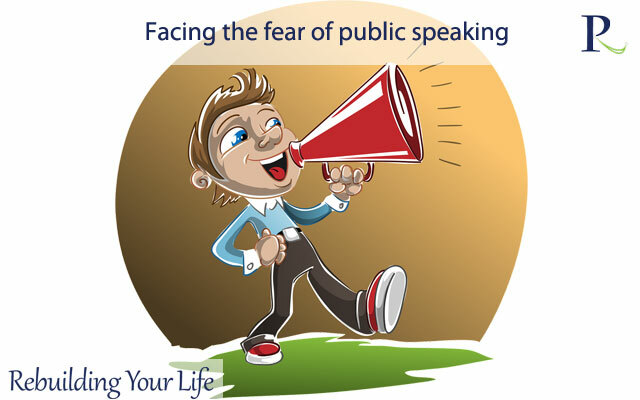 So that means that we can overcome the fear of public speaking… through public speaking. Sounds a bit like a cliché, right? But it makes sense at a second thought. 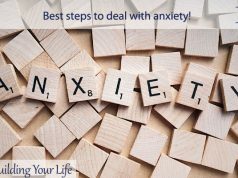 But at a second thought, if I were to ask you how these actions actually help coping with anxiety while public speaking, I am pretty sure you would realize that they do more harm than good. We think it might be easier if we act this way because it will lead to a sooner end of the speech, we won’t have to deal with the public and then we can just go back to our places in the shadows. Instead of making matters worse, maybe we could try to focus on some tips and tricks that could prove to be useful during a public presentation. For instance, preparation beforehand is a mighty good idea. The more you rehearse the presentation, maybe in front of friends or even in front of a mirror, the more sense of secureness you will have during the actual presentation. And you will feel more secure that you got it. Also, you can be prepared for possible comments. This is the part that I hate the most. I prepare my speech in advance, I am ready to speak and have it all done in my head and then someone pops in with a comment, maybe even a totally unrelated one. However, this can very well happen so just try to be as relaxed about it as possible. Try to respond in a calm manner, saying something like “a good point” that does not attract any further commenting. Try to imagine yourself succeeding. I know this is a really hard task to accomplish but think of it this way. The brain does not make a difference between real thoughts and wannabe thoughts. So if you could imagine yourself giving an amazing presentation, being able to overcome anxiety, which would already be a huge step forward. These are just some very tiny tips and tricks and thoughts that could help you cope with public speaking and the anxiety of it. Also, don’t feel bad about it. I always feel ashamed when I think that I will embarrass myself in public. But think of how many people suffer from this very same fear. I know it’s a very long path to walk but I believe it can be achieved!